At the end of the day, whether you're a mad scientist who has spent all day in a secret lab hellbent on concocting something terrifying or just relaxing as you flip through a science magazine (they still make them, right? 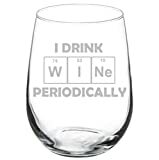 ), sip your wine from these cool new Laboratory Beaker Wine Glasses. 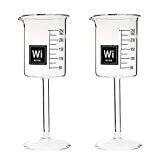 These fun wine glasses are crafted from graduated 200 ml borosilicate laboratory beakers attached to a classic wine stem and base. 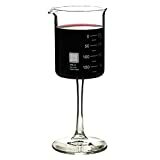 They come in a set of four, but are perfect for dinners for two as you work on your romantic chemistry.